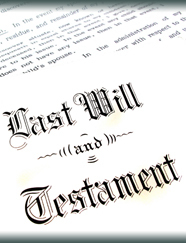 Estate planning is the collection of steps an individual must take to ensure that their heirs are provided for per their wishes, including both lifetime planning as well as disposition of property at death. Estate planning may be carried out with simple legal documents such as wills and trusts, however, without the help of an experienced an attorney, planning for the future can become incredibly complicated. As unpleasant as it is to sit down and discuss your plan for when you will no longer be here, it is essential to decide who needs your support (including you during your lifetime in the event of incapacity) and how you would like to protect them. Further, you need to make decisions regarding who will act as guardian for your children in the event you are unable to. If you fail to make these important decisions, the Court will do so for you in accordance with the laws of the state of New Hampshire.